A day set aside during the ManxCacheFest for you to explore the Island. Maybe you could walk the 81 cache Heritage Power Trail, which has a commemorative geocoin for purchase. 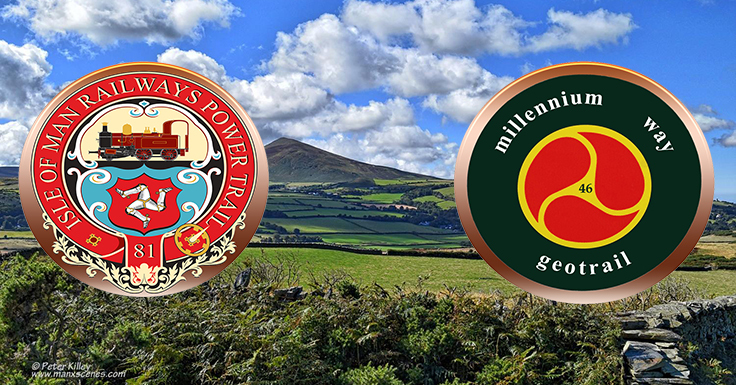 Or perhaps tackle the rather more demanding 46 cache Millennium Way Geotrail and submit a completed passport to obtain your souvenir coin free of charge courtesy of Isle of Man tourism. Or if you prefer, just potter about enjoying the island, you’ll never be far from a geocache whatever takes your fancy. Geocaching, Manxcachefest geocaching, iom, Isle of Man, manxcachefest. permalink.